As runners, we mostly focus on the actual session, rarely on not what comes before it. After, the time we spend out there is precious. Every minute we spend hitting the pavement counts toward attaining our goals. With that said, what you do before a run matters just as much as the actual session itself. Pre-Run habits can set you up for either a phenomenal or an awful a session. That’s where today’s article comes in handy. 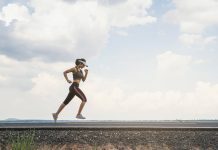 Here are some of the things runners commonly get wrong pre-run, as well as what do instead, so that you can make the most out of your training sessions. Are you supposed to stretch before a run? Recent research indicates that static stretching is not the best way to warm up before a workout. Instead of improving performance and preventing injury, static stretching before a workout may hamper performance, and increase injury risk. The right way to warm up before a run is by doing dynamic stretching (as outlined in this routine). Save the static stretches for the post-run ritual. Perform exercises like leg swings, lunges, ankle bounces, inchworms, arm swings, and high knees to name a few. I love to eat. It’s one of the reasons I run. Nonetheless, eating a big meal before heading out the door for a run is a recipe for disaster. That’s something learned the hard way once I started running more regularly. It’s one of the worst things—yet easily avoidable—things you can do before a run. 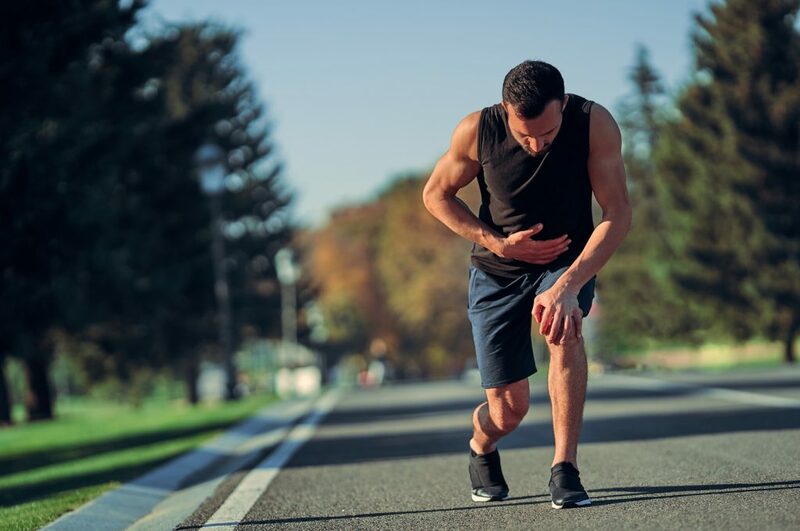 Eating too much—or the wrong kinds of food—too close to your run can cause stomach pain, cramps, and nausea, or worse, you could puke on the side of the road. You want none of that. Instead, try to time your meals. Give your digestive tract enough time to process the food before you head out the door—that means at least 2 to 3 hours break between a meal and a run. Keep your food choices healthy and simple. Go for a meal with moderate carb content and lean protein. Steer clear of fatty or fried foods and sugar-laden items. Another common blunder many runners make is either underhydrating or overhydrating before their workout. When you run or perform any form of physical exercise, you lose great amounts of water which can lead to dehydration. This dreadful condition negatively affects both training performance and enjoyment. On the other hand, gulping a gallon of water is also a big mistake. The fact is, doing so won’t hydrate you fast enough, and you’ll feel down with a sloshing stomach. Overhydrating can also result in a dangerous condition known as hyponatremia, leading to nausea, cramps, vomiting, and in extreme cases, death. In other words, either extreme is no good. 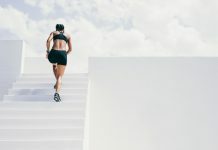 This is a tricky question because the right answer depends on many factors, such as training intensity, fitness level, temperature, clothes worn, size, weather, sweat rate, etc. To meet your hydration needs, drink your body weight in ounces of water a day. Have more on hotter days or before long and/hard training sessions. Again, the right amount depends on you. No suit fits all. To check your hydration levels, check the color of your pee. If it’s a very light yellow, you’re likely properly hydrated. But if it’s dark yellow and especially smelly, then that’s a clear sign that you need to drink more fluids. You’re excited about your new shoes and want to take them for a spin as soon as possible. But that’s no excuse to wear them during a hard run. Until they’ve been worn in, even the best-running shoe can cause pain and blisters, especially on the foot arches. As a rule, take your time to break in your new shoes. Wearing them around your house, while working, or when running errands around town. Next, road test your new pair and gradually wear them in until they feel sufficiently comfortable to complete long distances without major issues. Do the same thing with other gear such as running socks, shorts, or even a new sports bra. At one moment or the other, we all have doubts about our running program. We all wonder whether or not we’re making enough progress. Here’s the truth. Having doubts can kill your running routine. This may sound like an exaggeration, but it’s true. Sometimes your greatest enemy is your own mind. If you start your running session thinking that you’ll not perform your best, your self-doubt will shine through, and you’ll be less likely to perform your best. Having those negative thought will only fuel your self-doubt and create a negative cycle that’s hard to break. Even if you got the right gear, the right warm-up, and pre-workout fueling, if your mind is not up to the task, you’ll not get very far. The solution is pretty simple: Mentally prepare yourself for what’s ahead of you. Instead of letting the seed of doubt take hold inside of your mind, think positive thoughts—even if you’re a complete beginner. Visualize that you’re good enough, and as I always say, where the body goes the body will follow. The rest is up to you. The above training and diet guidelines are all you need to set yourself up for a great run. The rest is really up to. Please feel free to leave your comments and questions in the section below.